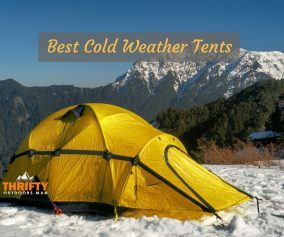 If you are going backpacking, hiking, camping, or being outdoors, you will want to keep warm. The issue of warmth might not be a problem in the middle of the summer, but when it comes to any other season, it definitely is. Even the summer can be cold at night when you are near a big body of water or high up in a mountainous area. At any rate, we are here to look for the best down jacket for backpacking. We have some really neat options for you to take a look at. We have a few really nice down jackets for you to take a look at right here. Each of these jackets is a little different, but each has its own strengths and advantages, so one of them might be the ideal one for you. This is one of our favorite options to go with at the moment. The Marmot Guides Down Hoody comes with everything you need to stay warm and dry outdoors, but it manages to be fairly thin and lightweight. 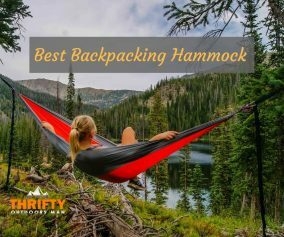 We really like this because having a really heavy and thick jacket with you while backpacking, camping and hiking is not ideal in the least. A jacket like this, one that can keep you warm and dry, but not weigh you down too much, is ideal. The Marmot Guides Down Hoody is made with 90% polyester and 10% stretch elastane, thus providing a nice snug fit every time. This particular jacket will keep you warm and dry, but keep in mind that it has not been designed to handle extremely severe weather. It won’t do anything in extreme cold or hurricane conditions. While it can ward off some snow, rain, and a good deal of wind, don’t expect it to keep you totally dry and warm when it’s -40 degrees. It also has a hood to keep your head dry. That being said, the Marmot Guides Down Hoody does come with zippered hand-warmer pockets and as well as drawstring Velcro cuffs to keep your arms and hands as warm as can be. Not only does this help with temperature control, it also allows you to adjust the fit. This jacket also features interior and exterior zippered pockets, so you can carry your valuable with you. If you like ultra-lightweight jackets that keep you warm when things get tough, the Lesmart Men's Ultralight Down Jacket might just be the best option for you. Now, something that first needs to be said is that this jacket is water repellant, but not totally waterproof. While it is great for keeping you warm, it will not fare to well in really wet and rainy conditions. However, the down filling of this jacket will definitely keep you warm when the temperature drops. The duck down used in this jacket will keep you toasty warm even in sub-zero conditions. One of the neat parts here is that the Lesmart Men's Ultralight Down Jacket only weighs 10 ounces. It is pretty thin and lightweight, but it will keep you warm none the less. It’s a good option for those long hauls where you don’t want to be carrying too much weight with you. We also like how this jacket fits into a really small drawstring pouch that you can attach to your gear; carrying it around when you are not wearing it is thus very easy. Moreover, the Lesmart Men's Ultralight Down Jacket comes with 2 side pockets with down padding for warmth and storage. It also features 2 deep interior pockets for storing valuables and small tools. Another bonus here is the adjustable wind-proof cuffing including with the Lesmart Men's Ultralight Down Jacket. While this is a very simple jacket with not too much to say about it, it is still one of the better options out there at this time. The Mountain Hardwear Micro Ratio Hooded Down Jacket features 650-fill Q.shield down, which will help keep you extremely warm, even when the temperature dips below the freezing mark. This particular jacket is specially designed to ward off the elements. It is waterproof and windproof, so staying warm and dry in miserable weather is possible to say the least. It has elastic cuffs to keep the wind out and keep your temperature up. At the same time, it comes with an elastic hood to keep your ears nice and toasty. This jacket also comes with dual side pockets that are zippered, which can keep your hands warm and your valuables in one place too. Like we said, this jacket is not anything fancy, but it gets the job done. This is also a fairly lightweight jacket, so it does not feel like you are carrying much weight around with you. If you would like to have a lightweight jacket for backpacking, camping or hiking, this one is an ideal choice to keep in mind. This jacket is so light that you will barely notice having it on your body at all. 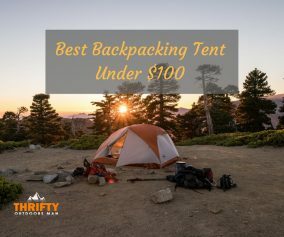 At the same time, if you don’t feel like wearing it all of the time, you can roll it up into a neat little package and store it in the included drawstring bag. The bag ends up being fairly small and can be clipped onto your hiking gear with ease. The Amazon Essentials Down Jacket is an awesome down jacket and will keep you warm. Now, it is not meant for extreme cold winter conditions, but for cool spring, summer, and fall nights, it will keep you warm. This jacket is also highly water resistant to make sure that light rain does not get you wet. However, this jacket is not totally waterproof, which is important to note if you plan on camping or hiking in really bad weather. The Amazon Essentials Down Jacket has elastic cuffs for a bit of extra temperature control and to keep the wind out. It also features zippered pockets to keep your hands warm and your valuables safe. This might not be the best jacket for extreme weather, but for light cold, wind, and rain, it will do just fine. Yet another really lightweight option to go with, the Hawke & Co Down Puffer Jacket is so light that will you will barely notice it. Not having to carry around a brick on your body is a pretty big deal when it comes to backpacking for hours on end. Also, this jacket comes with a little drawstring pouch. Simply roll it up and place it in the bag for easy transportation. It can easily clip onto your backpack, so you don’t actually have to carry it at all. This jacket is 100% nylon with a down filling, so it is fairly durable and warm. It will definitely keep you warm when it gets cold out. It is also water and wind resistant. The Hawke & Co Down Puffer Jacket is not ideal for extreme cold or other severe weather conditions, but for a little light rain and moderate cold, it will do the job, without question. The Hawke & Co Down Puffer Jacket features a zipper front with zippered side pockets. The pockets are not huge, but they are fine for small items nonetheless. The padded standing collar will also help keep your neck warm This is not the fanciest of down jackets out there, but it works great for moderate cool weather backpacking. 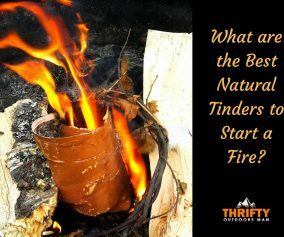 Staying warm is extremely important when it comes to being out in the woods, on the trail, or hiking on a mountain. There is nothing worse than not being adequately prepared for colder temperatures. The above options are lightweight and easily portable. 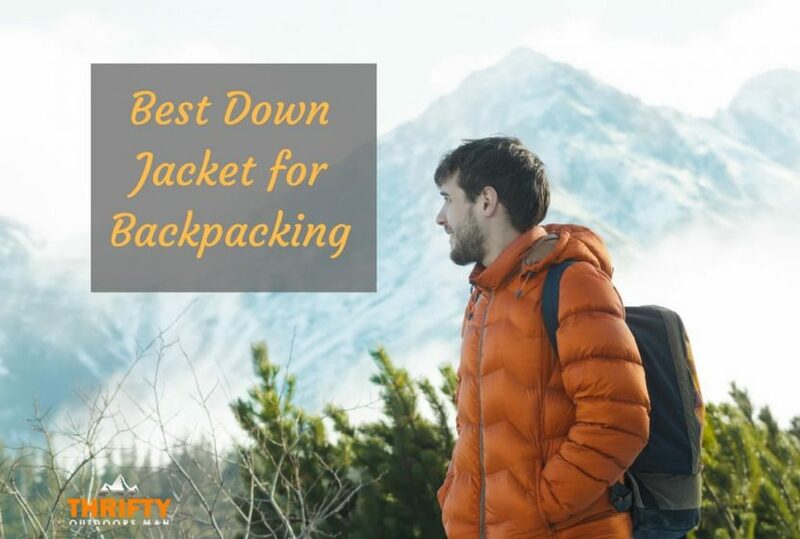 The best down jacket for backpacking might just be one of the above models that we reviewed, so take a closer look because staying warm is important to you. Hiking Food: How much Nutrition do you need?